ICC-ES Committee Field Trip – RADCO, Inc. The ICC-ES committee took a field trip to RADCO to get a better understanding of how testing laboratories and inspection agencies operate. 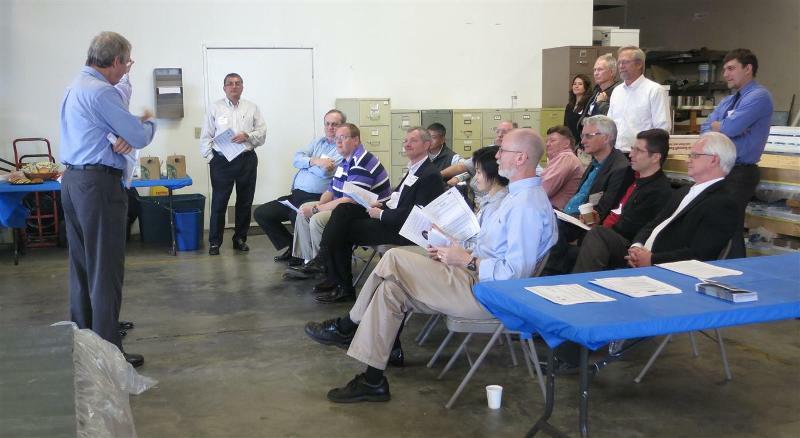 Eight committee members and seven ICC-ES staff engineers visited RADCO on Thursday Feb 16th, 2012. Mike Zieman, RADCO President & CEO, kicked off the event with an introduction to RADCO, briefly recounting RADCO’s history and giving an overview of services provided. Several tests such as a wind load test, water penetration test, axial load test, peel adhesion test and hydrostatic pressure test were demonstrated. The committee was then given an outline of RADCO’s inspection and follow-up services, followed by a question and answer session.